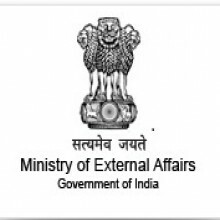 Ambassador Shyam Saran is an Indian career diplomat. He joined the Indian Foreign Service in 1970 and rose to become the Foreign Secretary to the Government of India. Prior to his appointment as the Foreign Secretary he served as India's ambassador to Myanmar, Indonesia and Nepal and as High Commissioner to Mauritius. Upon completion of his tenure as the Foreign Secretary he was appointed Prime Minister’s Special Envoy for Indo-US civil nuclear issues and later as Special Envoy and Chief Negotiator on Climate Change. Subramanian Ramadorai was the adviser to the Prime Minister of India in the national council on skill development, Government of India. He held the rank equivalent to an Indian Cabinet Minister. He is also the chairperson of the governing board of the Tata Institute of Social Sciences and Bharathidasan Institute of Management, chairman of Indian Institute of Information Technology, Guwahati and Tata Elxsi. Earlier, he was CEO and MD of Tata Consultancy Services from 1996 to 2009 & Vice - Chairman of Tata Consultancy Services till 6 October 2014. 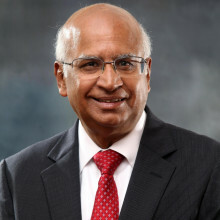 On 31 January 2011, TCS vice-chairman, Ramadorai was appointed by the Indian Government as the advisor to Prime Minister Dr. Manmohan Singh for the National Skill Development Council. 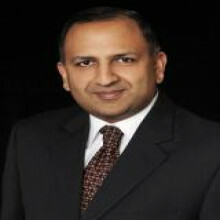 Pratap Bhanu Mehta is an Indian Academic. He is a Vice-Chancellor of Ashoka University. He was the President of Centre Policy Research, New Delhi. Before he started engaging with contemporary affairs, he taught political theory at Harvard, and briefly at JNU. He was a Professor at NYU Law School’s Global Faculty. He has written extensively on intellectual history, political theory, law, India's social transformation and world affairs. He is the recipient of the Infosys Prize, the Adisheshiah Prize and the Amartya Sen Prize. 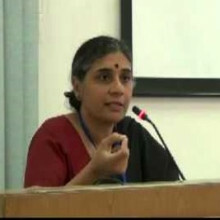 Deepa Gopalan Wadhwa joined the Indian Foreign Service in 1979. She was the first Indian woman to be appointed Ambassador to the Gulf State of Qatar and later Japan. 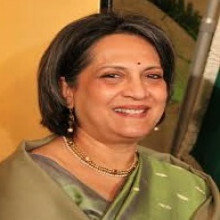 She has also been India’s Ambassador to Sweden, Latvia and Republic of Marshall Islands. Earlier, she served twice in China, besides stints in Switzerland and Netherlands. She was instrumental in the active promotion of India’s economic interests in the areas of trade, technology, investments and energy security. 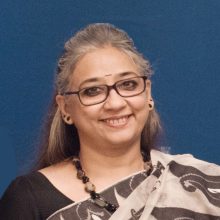 She has held the charge of Joint Secretary, Ministry of External Affairs, New Delhi, responsible for Indian relations with the United Nations and its agencies, including development programmes of UNICEF, ILO, UNDP, WHO etc. in India.